SWAT Security (Swallow Alarm Technology) was founded by Mr. Geoff Gordon in 1980. The company started life working from home and was known as Alarm Technology. In 1983 the company merged with Swallow Security Services and renamed Swallow Alarm Technology, which quickly became know as SWAT Security our bell box logo initials. Premises were purchased in Brook Street, Selby in 1983. In 1984 the company became NSCIA. Approved (now called N.A.C.O.S.S) and has now grown into one of the leading security companies in Yorkshire and Humberside. The NSCIA. Is known as the NSI (National Security Inspectorate) which has broadened its scope to cover approval and inspection of all aspects of the security industry. SWAT Security are proud to be NACOSS Gold approved for the installation of Security, CCTV and Access Control equipment of the highest accolade in the industry. N.A.C.O.S.S. (National Approved Council for Security Systems) is the technical division of the NSI. Inspectors regularly inspect the company to ensure the rigorous standards for system design and installation, quality control, British Standards, maintenance of systems, minimising of false alarms, training of staff and customer. Liaison are met at all time. 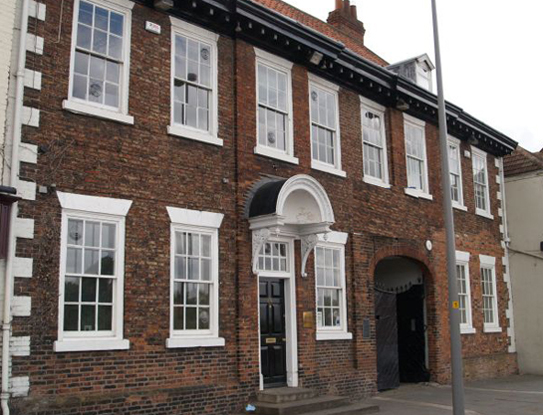 In early 1997 we purchased Corunna House, an 18th Century Georgian house in Ousegate, Selby which is where our headquarters are still today. 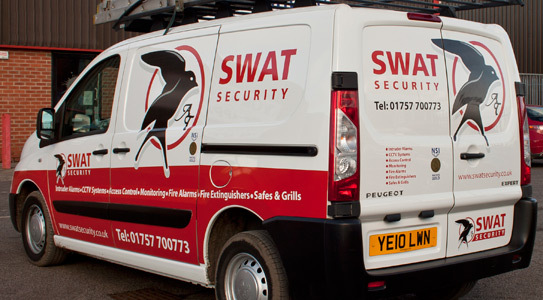 SWAT Security is an independent company and are one of the few that can offer a Total Security Package. The company is still family owned and both Dianne and Geoff are still involved on a daily basis, most of the staff have worked for SWAT for many years. We continually evaluate the developments in the industry to ensure that we are at the forefront of technology. Our independent status enables us to select equipment from many different suppliers and manufacturers, buy in bulk, and as a result give you, the customer, the very best deal. No matter what your security requirement we can design a solution for you. Normally a lot less than you would think! We not only carry a range of the best equipment that money can buy but also a range of “value for money” equipment for the job that really has to be done to a limited budget. The one thing we have learned over the last few years is that the most expensive is not always the best, although its quite often is. Cheaper equipment can quite often be perfectly acceptable. Our expertise ensures that you will know exactly what you are buying and if it is “budget” that it is not rubbish and that it is good value for money. We offer a free surveying and quotation service on site. For smaller jobs we can quite often give a quotation over the telephone. A written specification and quotation will then be dispatched for your approval. All equipment is guaranteed for 12 months. All installations are guaranteed for 12 months with on site service. All burglar alarms are guaranteed for 3 years with 24 hour a day access to our call out service. (subject to a maintenance contract being in force). “emergency desk” is manned 24 hours a day 365 days a year. Our first priority is to give customer satisfaction, no matter how small or large the job may be. Over the last 30 years, we have worked for some of the largest plc’s and authorities in the area. Our reputation for a job of the highest standard at a competitive price with an excellent after sales service has meant that we now have long associations with many of these companies. We hope that this enquiry is the first step in a long relationship with yourselves.